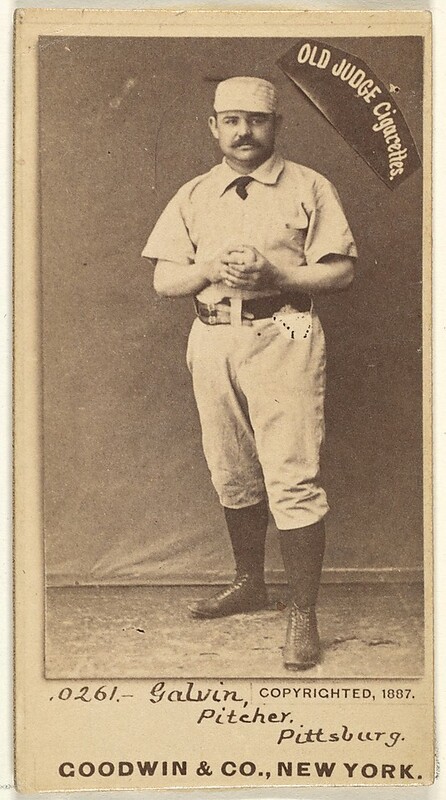 1888 At Swampoodle Grounds in Washington, D.C., James Francis Galvin of the Pittsburgh Alleghenys becomes baseball's first pitcher to record his 300th victory when he defeats the hometown Senators, 5-1. The 31-year old 'Pud', a workhorse who will win 20 games 10 of the 14 seasons he plays in the big leagues, will end his career with 361 victories. 1960 At Forbes Field, Roger Maris becomes the seventh major leaguer to homer in first World Series at-bat. 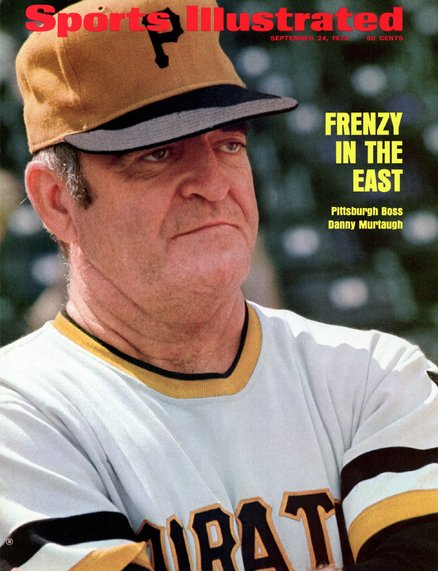 The right fielder's first-inning round-tripper off Vernon Law gets the Yankees off to a good start, but the Pirates will win Game 1 of the Fall Classic, 6-4. 1903 A crowd of 18,801 fills Exposition Park as the Pirates defeat the Boston Pilgrims (Red Sox), 4-2, in the first World Series game played in Pittsburgh. Boston, however, later emerges as the Series winner, overcoming a three-games-to-one deficit to win the best-of-nine competition, five games to three. 1917 Danny Murtaugh, Pittsburgh Pirates player and manager is born. 1927 The 1927 Yankees and their famous "Murderer's Row" lineup featuring Babe Ruth and Lou Gehrig, considered one of the best teams in baseball history, live up to their reputation as they beat the Pirates, 4-3, to sweep the World Series in four games. 1927 In the bottom of the ninth inning of a tied Game 4 of the World Series between the Pirates and Yankees, Johnny Miljus loads the bases with no out, but gets Lou Gehrig to strike out swinging and strikes out Bob Meusel looking. Facing Tony Lazzeri with two outs and an 0-1 count, the Pittsburgh hurler throws a wild pitch and Earle Combs races home with the winning run to give the Bronx Bombers the sweep and their second world championship. 1940 With the Reds' 2-1 victory over the Tigers in Game 7 of the Fall Classic, Bill McKechnie becomes the first manager to win a World Series with two different teams. The 'Deacon' also piloted the Pirates to a World Championship beating Washington in seven games in the 1925 Fall Classic. 1909 Ty Cobb's steal of home is the highlight of the Tigers' 7-2 victory over the Pirates, that knots the World Series at one game apiece. The 'Georgia Peach' swipes home plate 54 times during his career, a major league record. 1958 In Game 7, the Yankees beat the defending World champion Braves in Milwaukee's County Stadium, 6-2, for their eighteenth title, the club's seventh in the past decade. The Bronx Bombers become only the second team, the first being the 1925 Pirates, to come back from a 3–1 deficit to win a best-of-seven Fall Classic. 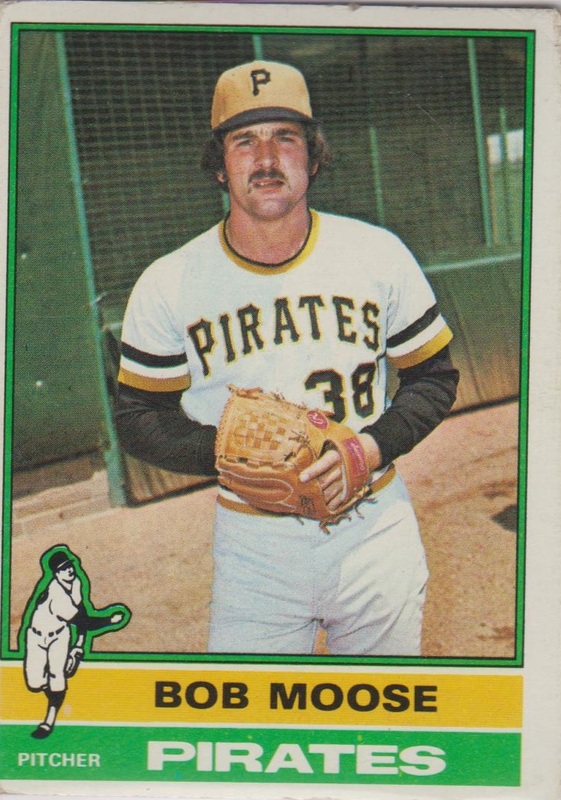 1976 While on his way home from his party, Pirates reliever Bob Moose is killed on his birthday in an automobile accident in Martin's Ferry, Ohio. The 29-year old’s death occurs two days shy of the four-year mark of the date he threw the infamous wild pitch giving Cincinnati a walk-off victory in the fifth and deciding game of the NLCS. 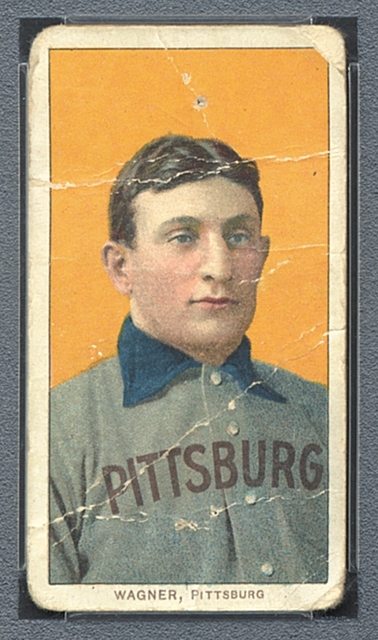 1909 At Bennett Park, Honus Wagner becomes the first player to steal three bases in a World Series contest. The Pirates third baseman's thievery enables Pittsburgh to beat Detroit, 8-6, in Game 3 of the Fall Classic. 1972 In the fifth and deciding game of the NLCS at Riverfront Stadium, George Foster scores the winning run from third base in the bottom of the ninth on a wild pitch thrown by Bob Moose giving the Reds a dramatic 4-3 walk-off victory over the Pirates. Earlier in the inning, Johnny Bench hit a home run off Dave Giusti to tie the score. 1992 After participating in a game against the Dolphins in Miami, NFL Falcons' cornerback Deion Sanders flies to Pittsburgh hoping to become the first athlete to play in two professional leagues in the same day. 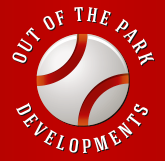 The traveling outfielder, however, will not be in the lineup for the Braves' 7-1 loss in Game 5 of the NLCS against the Pirates at Three Rivers Stadium that evening. 2005 The Pirates hire former Dodger skipper Jim Tracy as the team’s manager to replace recently-fired Lloyd McClendon. It is the first time in nearly two decades Pittsburgh has looked outside the organization to select its field boss.